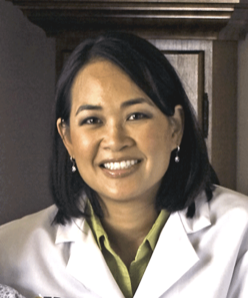 Dr. Tiffany Lee is a Southern California native. Her family emigrated to the Southern California area over 200 years ago and like many of her family members, she attended the University of Southern California. In six short years she completed both her undergraduate studies and received her Doctor of Dental Surgery. By being one out of several hundreds of applicants who completed the Accelerated Dental Acceptance Program Track (ADAPT), she was the youngest to graduate in her class. She served on faculty at the University of Southern California for several years but currently her focus is on her private practice. In addition to her formal training, over the past years Dr. Lee has completed hundreds of hours of continuing education with many of the hours being completed in the field of cosmetic dentistry. Dr. Lee is committed to delivering the latest advancements in oral health care for her patients. In addition to Dentistry, Dr. Lee enjoys using her passport. In 2004 she summited Mount Kilimanjaro, the highest peak in Africa. She rang in 2005 New Year's in Northern China in -40 C weather. She recently completed her second trip to the capitol of Cambodia, Phnom Penh. Dr. Lee and a Dental colleague took a team of 6 to provide comprehensive dental care to 60 orphans and staff at the Cambodian Cultural Arts Ministry.